Looking for a good iPhone 6 plus, iPhone 6, iPhone 5S, iPhone 5C, iPhone 5, iPhone 4S, iPhone 4, iPhone 3GS or iPhone 3G repairs in Melbourne? 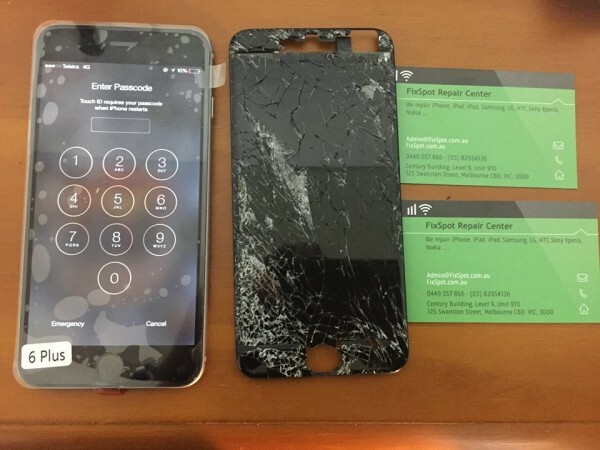 We do repair your broken iPhone 6 plus, iPhone 6,iPhone 5S, iPhone 5C, iPhone 5, iPhone 4S, iPhone 4, iPhone 3GS / iPhone 3G in Melbourne CBD with best price and 3 months warranty. iPhone main board problem fixing. Most of our iPhone repairs Melbourne are done while you wait in our store in Melbourne CBD, within 15-30 minutes most of the times. We specialize in iPhone 6 plus, iPhone 6,iPhone 5S, iPhone 5C, iPhone 5 , iPhone 4S , iPhone 4, iPhone 3GS and iPhone 3G to give you the best iPhone repairs Melbourne. Please contact us if you have any questions regarding your cracked iPhone , if your iPhone has a problem rather than the ones listed just let us know your iPhone problem and we will give you a quote to fix your iPhone. Do you have to backup your phone before I bring it in? It is always wise to keep your phone backed-up including your contacts, photos & apps then you can restore your data to your phone if needed. Please ensure you have backed up your phone before bringing it into store. Can you backup my phone for me? If you do not know how to back-up your phone yourself, or would rather we did it, our technicians are able to do this for you for $30. We gladly accept your repairs orders.